I made the Dreamy Gluten Free Strawberry Cake. It was good, but very dense. Can you please tell me if I was suppose to beat the egg whites and fold them into the cake? Is that where I might have gone wrong? Thank you Linda for commenting! It is not required to whip the egg whites first. The density might have been impacted by the gluten free flour blend you used. May I ask which brand and what kind of flours were in the blend you used? My favorites are Bob’s Red 1 to 1 Baking Flour, and King Arthur Flour’s Gluten Free multi-purpose flour blend for cakes. 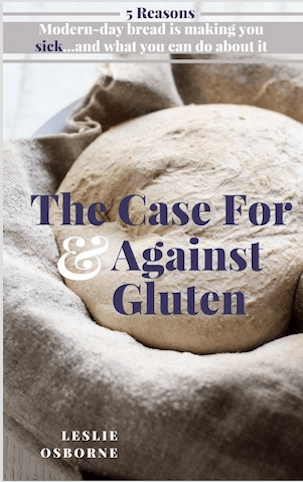 Different gluten free flours impact baked goods depending on what type they are. They all absorb different amounts of liquid and can sometimes weigh your baked goods down. Let’s see if we can figure out what happened! Hello again Linda. I just wanted to follow up with you about the cake. Again, I’m not sure what kind of gluten free flour blend you used, but in case you used the same that I did, I was troubleshooting yesterday to see if I could figure out what might have happened. I decided to make the recipe again just to make sure the recipe was correct (mistakes can definitely happen on my end). Although I had made the recipe several times without whipping the egg whites, I decided to test two batches side-by-side to see which had the lightest texture. I made one recipe the same way, and another batch where I whipped the egg whites. The batch with the whipped eggs whites did rise about 1/4 inch higher than the batch without the whipped egg whites, so that was a nice improvement. However, the original batch still came out with a nice tender crumb and wasn’t dense, so I know the measurements were correct. I thought about possible scenarios that might have contributed to the density other than the gluten free flour. 1) Is it possible that the way the recipe was written was confusing? By this I mean, did you happen to add the entire 24 ounces of strawberry puree to the batter instead of 3/4 cup? In the recipe instructions I have written to add 3/4 cup of the puree to the batter and reserve the rest for topping the cake. 2) I also wonder if the weight of the buttercream and the strawberry puree on top (with extra strawberries if you added more) might have weighed the cake down some? Perhaps if the cake was under baked by a couple of minutes, it might have collapsed somewhat in the center, weighing the cake down. I’m just troubleshooting to see if any of these things might have been an issue. Thank you again for commenting and taking the time to make this cake. It gave me the opportunity to bake it again and see if there were any changes it needed. I’m keeping all the measurements the same, but adding to whip the egg whites first and fold in in to the batter. Thank you for helping me to improve the recipe, it’s readers like yourself that help to improve this site! Place all ingredients in a large bowl, and whisk to combine [i]well[/i]. Store in an airtight container at room temperature until ready to use. The recipe can be halved or used in multiples easily. Just be sure to whisk fully in a large enough container. It makes a total of 580 grams, which is 20 grams more than 4 cups. Yes I have absolutely heard of Cup4Cup flour. The company is owned by Thomas Kellar, one of the best chef’s in America. One of his chef’s created the blend and they started the company a few years ago. And yes, it’s VERY expensive! Your blend actually looks pretty good, however one of the drawbacks of Cup4Cup is the large amount of cornstarch in the blend, which can lend an overly starchy texture to baked goods. I have read GF blogs in the past where they baked a basic vanilla cake side-by-side with C4C and other blends, and the blind taste test revealed a starchy texture with the C4C flour. Plus, other blends used resulted in a higher rising cake. Also, the addition of the nonfat dry milk powder might have added too much excess moisture. Generally, gluten free baked goods require a larger amount of moisture because they absorb higher amounts of liquid, making GF baked goods drier (I assume that’s why dry milk powder is added to C4C). In my recipe, the coconut milk used seemed to have added just the right amount of liquid in combination with either Bob’s Red Mill 1-1 Baking Flour or King Arthur Flour’s Gluten Free Multi Purpose flour. It just goes to show you that there really is no perfect GF flour blend for ALL recipes. Definitely don’t throw away your blend, but maybe try with other muffin recipes or cake recipes to see if you have the same issues. 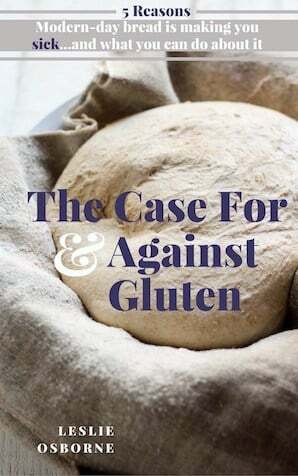 I have made sooooo many gluten free flour blends over the past few years, but I stopped making them once I found the two blends I just mentioned because it was so much more convenient. These are great notes to add to the recipe, so thank you for sharing your blend! I’ll be sure to be more specific about what blends I use and recommend. I’m so thrilled to find this recipe! My husband’s birthday is this weekend, and I like to make him strawberry buttercream cake every year (like his Granny always did). However, I’m now gluten free, and he wouldn’t eat cake on his birthday if I also couldn’t eat it (so sweet). I can’t wait to make this. It’s my first attempt at actually baking a gluten free dessert, so fingers crossed! Woohoo! I’m so glad to hear you’re making this cake this weekend. If you’re pressed for time you can bake the cake layers anytime this week, let cool completely, wrap really well with plastic wrap and freeze. You can thaw the cakes at room temp for a couple of hours and frost when your buttercream is ready. This is also great because making it from start to finish in one sitting takes a lot of time. If you have any issues and you bake the cake in advance, then you have time to fix them. I highly recommend using Bobs Red Mill Gluten Free 1 to 1 baking flour, as that is my favorite gf blend and what I used for this cake. Most other blends aren’t as reliable for certain gf recipes. I’m not gluten free, but I would make this cake any day and enjoy it just as much as gluten FULL cake. Let me know if you have any questions before making this cake. And share pictures on Instagram and tag me @bessie.bakes if you have an account! I’d love to see your creation! Thank you so much for the tips! Do you think it would be ok if I frost the cake on Friday and let it sit in the fridge overnight? We’ll be eating it on Saturday. I’d probably wait to put the strawberry in top until I served it. I will definitely share the finished product! I made this cake two weeks ago and I had one confusing bit with the sugar and water over heat. In the recipe you say 3/4C plus 2 TBS of sugar and 2 TBS of water. My mixture of sugar never fully dissolved into the water and it was a bit of a hard sticky mess. Any tips? Thank you so much for sharing your experience Rylin, and I’m sorry to hear the buttercream had issues! Meringue buttercream can be finicky and I’ve certainly dealt with issues when making it. I made the buttercream just now to ensure the water and sugar mixture measurements were correct. The buttercream turned out great, but I would say that it’s best to mix the water and sugar together to hydrate the sugar before heating it up. You don’t really want to stir after it starts to heat up as it will get hard and sticky. I’ve done that before and it makes it hard to get pour out of the saucepan. I changed the wording in the recipe a bit to reflect that so it’s not confusing. Also, I adjusted the temperature of the sugar/water mixture to be removed from the stove at 240 degrees. 244 degrees (which is what it was originally) is fine, however, the sugar/water continues to go up in temp after taking it off of the stove, so I lowered it in case anyone could have issues with the temp going over 250, which is too high. Again, thank so much for commenting as it helps me to tweak the instructions for future readers. I hope you try the buttercream again and let me know how it turns out if you do. I haven’t tested this cake as cupcakes, but I bet they would still be delicious. If you want to test the recipe out as cupcakes, you can cut the recipe in half just in case, so if it doesn’t work, you won’t waste an entire batch. Feel free to check back in and let us know how they turned out if you make them as cupcakes! I made them as cupcakes for my daughter’s birthday and they were delicious!! I didn’t cut the recipe in half and it made 30 cupcakes. I didn’t change anything in the recipe except that I put a dark chocolate ganache as a filling. Thank you so much for the recipe!! Oh wonderful, thanks so much for sharing!!!! A ganache filling sounds amaaaaazing. So glad the recipe worked for cupcakes!! !